Harry Reginald Hignett was born in Cheshire, England, and made his stage debut in Manchester in 1893 with Frank Benson‘s troupe. He played a minor role—one of the citizens of Rome. He worked with Benson until 1901, playing in those eight years with the Bensonians in at least twenty-two Shakespeare plays. He left Benson to go on tour with Mrs. Patrick Campbell in 1901. In 1907, he joined Oscar Asche and Lily Brayton at the Adelphi Theatre, London, where again he acted in a number of Shakespeare’s plays. 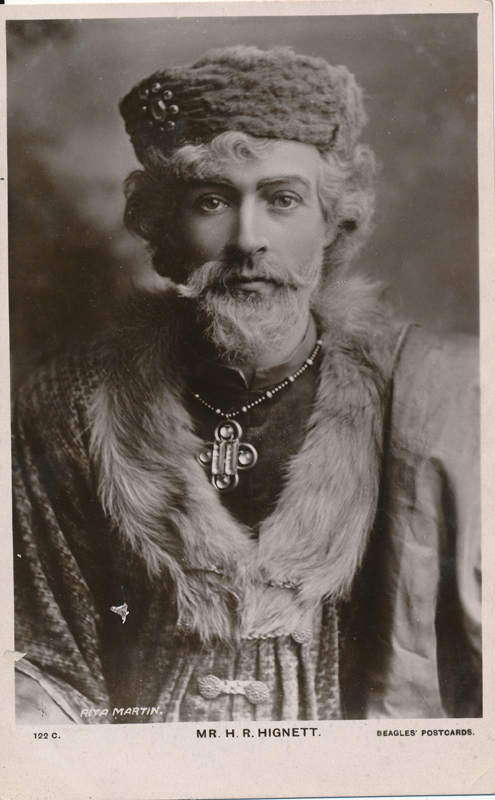 In 1907 he played in As You Like It at His Majesty’s Theatre, and in no year from 1893 until 1945 was he absent from the stage. The number of plays and performances—including Shakespeare – runs into the hundreds, and it would be impossible to list all of them here.